Fiberglass Window Screens Custom Made to Fit Most Style Window. Our custom fiberglass window screens are one of our top selling window screens because of the screens affordable pricing. 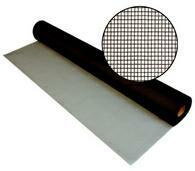 Fiberglass screens are the least expensive insect screen. 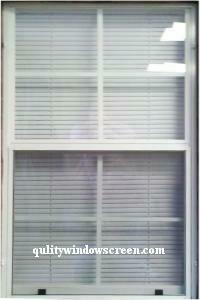 The custom fiberglass window screens are generally used in windows on your home to keep out insects. The fiberglass screening does a great job of keeping out standard insects like house flies, mosquitoes, and spiders. Custom fiberglass window screens are very forgiving when pushed against. The fiberglass mesh springs back to its original shape unlike aluminum screen mesh that may bend or tear. The only real negative about fiberglass window screens is it typically only lasts around ten to twelve years before needing to be replaced. Aluminum screens may last up to 30 years in low use screening applications. Our custom fiberglass window screens are factory made with aluminum frame, fiberglass window screen and internal mitered corners. Color choices are charcoal or silver gray fiberglass insect screen. Choose from five frame color choices and a wide selection of attachment hardware. Order your custom fiberglass window screens today! Width Inches Select 10 11 12 13 14 15 16 17 18 19 20 21 22 23 24 25 26 27 28 29 30 31 (+$0.30) 32 (+$0.60) 33 (+$0.90) 34 (+$1.20) 35 (+$1.50) 36 (+$1.80) 37 (+$2.10) 38 (+$2.40) 39 (+$2.70) 40 (+$3.00) 41 (+$3.30) 42 (+$3.60) 43 (+$3.90) 44 (+$4.20) 45 (+$4.50) 46 (+$4.80) 47 (+$5.10) 48 (+$5.40) 49 (+$5.70) 50 (+$6.00) Help? Height Inches Select 10 11 12 13 14 15 16 17 18 19 20 21 22 23 24 25 26 27 28 29 30 31 (+$0.30) 32 (+$0.60) 33 (+$0.90) 34 (+$1.20) 35 (+$1.50) 36 (+$1.80) 37 (+$2.10) 38 (+$2.40) 39 (+$2.70) 40 (+$3.00) 41 (+$3.30) 42 (+$3.60) 43 (+$3.90) 44 (+$4.20) 45 (+$4.50) 46 (+$4.80) 47 (+$5.10) 48 (+$5.40) 49 (+$5.70) 50 (+$6.00) 51 (+$6.30) 52 (+$6.60) 53 (+$6.90) 54 (+$7.20) 55 (+$7.50) 56 (+$7.80) 57 (+$8.10) 58 (+$8.40) 59 (+$8.70) 60 (+$9.00) 61 (+$9.30) 62 (+$9.60) 63 (+$9.90) 64 (+$10.20) 65 (+$10.50) 66 (+$10.80) 67 (+$11.10) 68 (+$11.40) 69 (+$11.70) 70 (+$12.00) 71 (+$12.30) 72 (+$12.60) 73 (+$12.90) 74 (+$13.20) Help? Fit perfectly.. I tried every other option to try to make these screens myself and it was too difficult for me. Glad I finally decided to have professionals do it. Went right in with no effort. Advantages: Professionally made, perfect fit, easy installation. Disadvantages: Shipping for me cost almost as much as the screens. Excellent service and CS emailed to make sure of hardware and dimensions. Great to work with! Quick delivery! Well packaged in strong wood box crate to protect screens in shipping. Advantages: Highly recommend and will use again! Quality screens site was very helpful in showing how to measure the screens you need. Following their instructions is very easy. 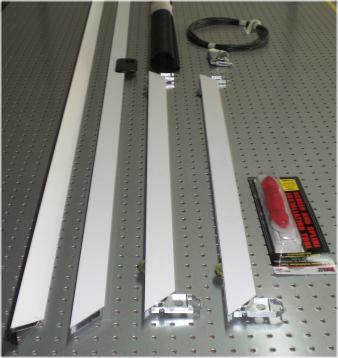 Advantages: Easy steps in measuring your needs, orders are shipped quickly and the screens fir perfectly. Received exactly what was ordered expertly packaged & very fast. Advantages: Using experts gets the best results. It was very exciting to discover Quality Screens so close to home and that they actually replaced the screens on two of our frames with a one day service. Screens look beautiful. Advantages: Now that I know about Quality Screens, I plan to replace my sliding screen door. Workmanship was excellent. Disadvantages: There were no disadvantages. I ordered eight different screen sizes. I think they are all equal in quality, so I am doing one review rather then the eight you are asking for. Advantages: Your screens are all correctly sized, which I appreciate. They arrived in excellent condition (except one scratched place on one of 18 screens). For the most part - see below - they are attractive. Disadvantages: Not all corners, where the diagonals meet, meet neatly and fully. And there are several places where the spline is not fully in place. Easy to follow instructions on how to order. Easy order. Arrived ahead of promise. Securely packaged. Perfect fit. I could not have asked for more. Very satisfied. I measured the old ones being replaced and they sent new ones exactly to that size and they fit perfectly. I was also pleased to see appropriate packaging with a wood frame encompassing the screen inside the box. No damage. Advantages: Easy to order online as long as you have all the proper measurements. I did have to call and make one minor change. The service people were very helpful and gave me the confidence it would be handled properly.